Christmas tree harvest | MICHIGAN GROWN. MICHIGAN GREAT. Have you ever wondered about where Christmas trees are grown before you’re able to buy them in your local area? Learn more today directly from Michigan farmer Tom Trechter! What does a Christmas tree farmer do on a regular basis throughout the year? What makes the perfect holiday tree? 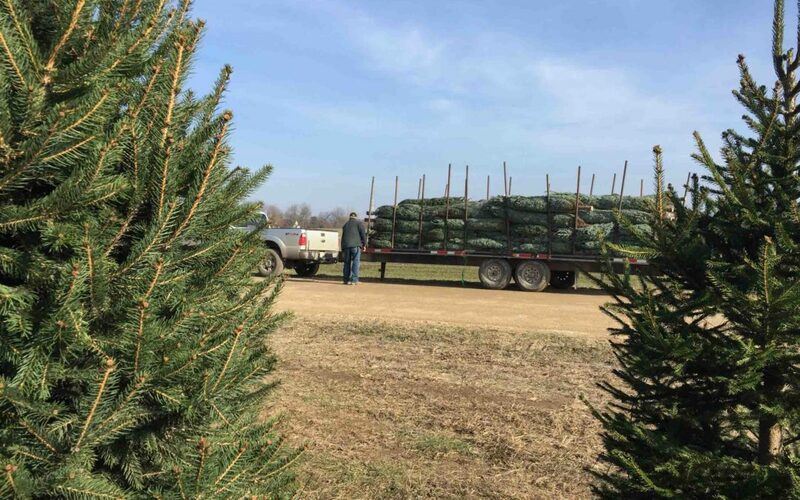 How long, and when, is a sale season for Christmas tree farms? Where is the farthest a Michigan farmer sells trees? What other products are marketed from a wholesale farm like Tom’s? Why is a real tree a smart idea for this year’s holiday decor?